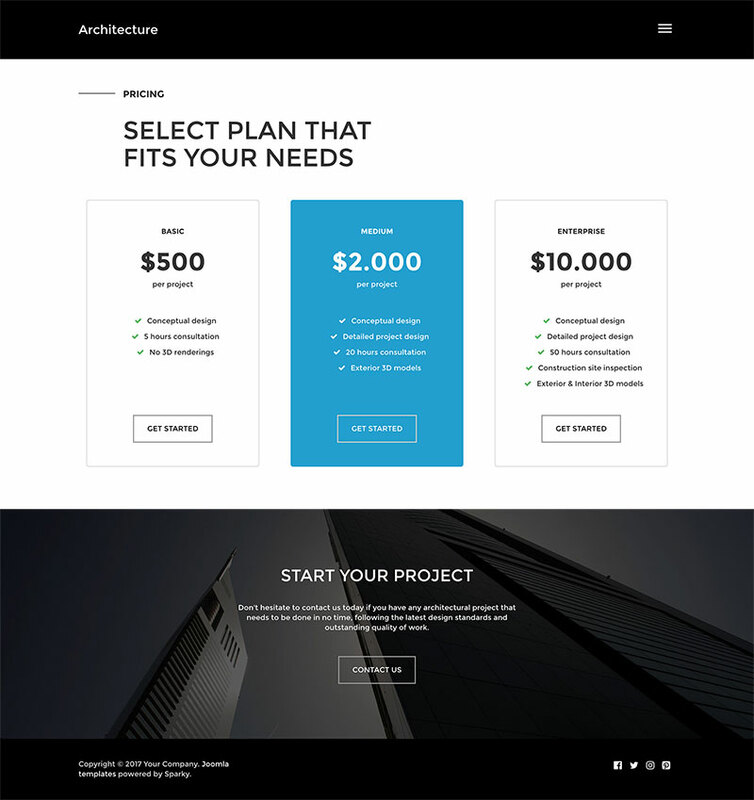 Architecture template is a modern and fully responsive Joomla template dedicated to architects, designers and building companies. Architecture is a specific blend of art and engineering. What makes architects different? It is probably the fact that architects don't have a freedom to create anything they want. Successful architects and architectural firms would always design realistic projects. It's not enough for design to be just beautiful. It also should also be feasible and fit into the client's budget. Architecture is a very wide term. There are many branches of architecture. Some of them are close to art, while another are closer to the engineering. Interior design would fit in the first group, while construction calculations would probably fit into the second group. 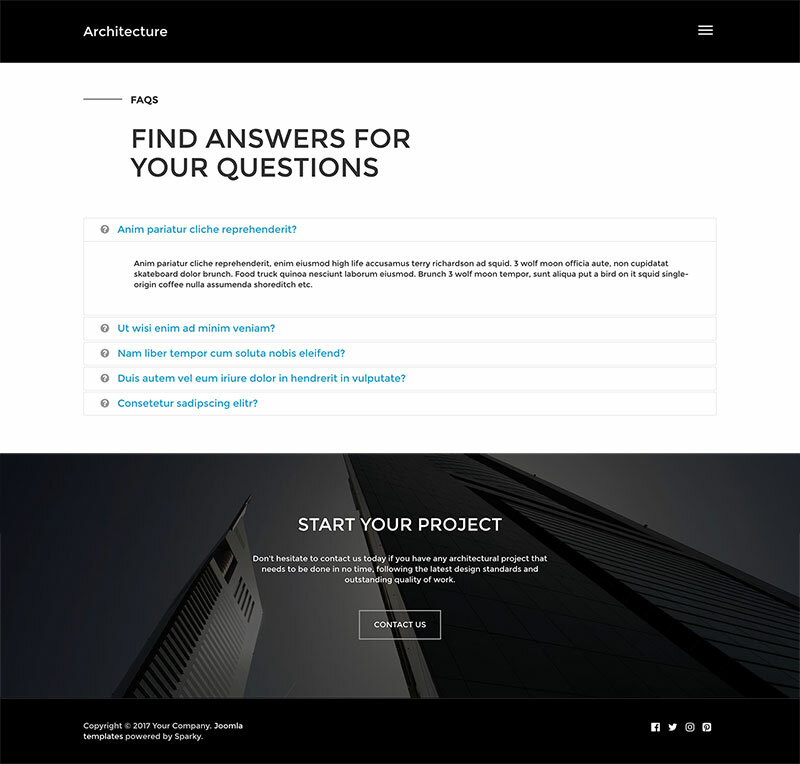 However, regardless of the branch, you can use the Architecture template for website development for any company or individual related to architecture. Our Architecture template is 100% responsive and it's thoroughly tested on all modern mobile devices. It's also optimized for speed. These two features and crucially important for development of successful websites optimized for search engines. Although it's the most important part of any website, the home page of the Architecture template is not the only page that you would get with this template. 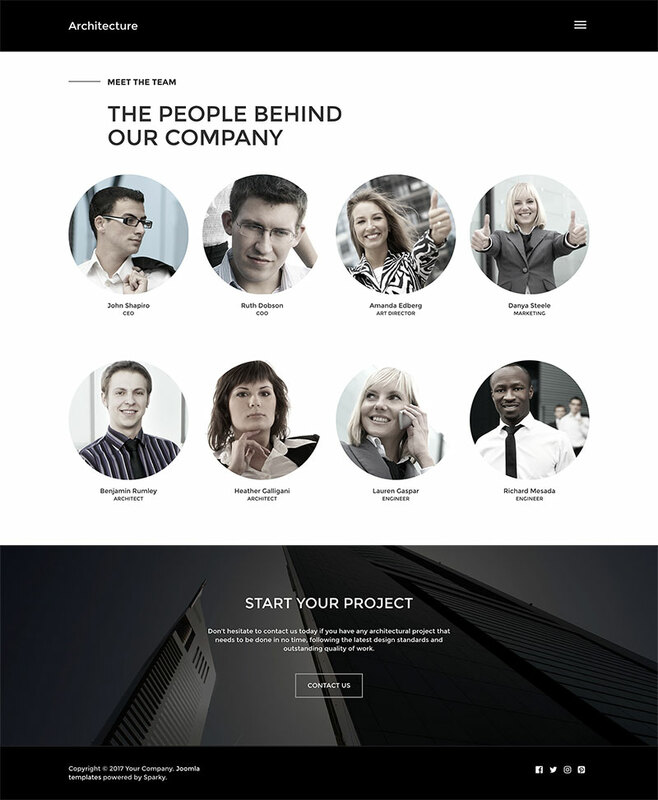 You would also get professionally designed interior pages, such as Team, Portfolio, Pricing, FAQ, Contact page, etc. Last but not least, if you are not fan of Joomla and prefer WordPress instead, we have good news for you. 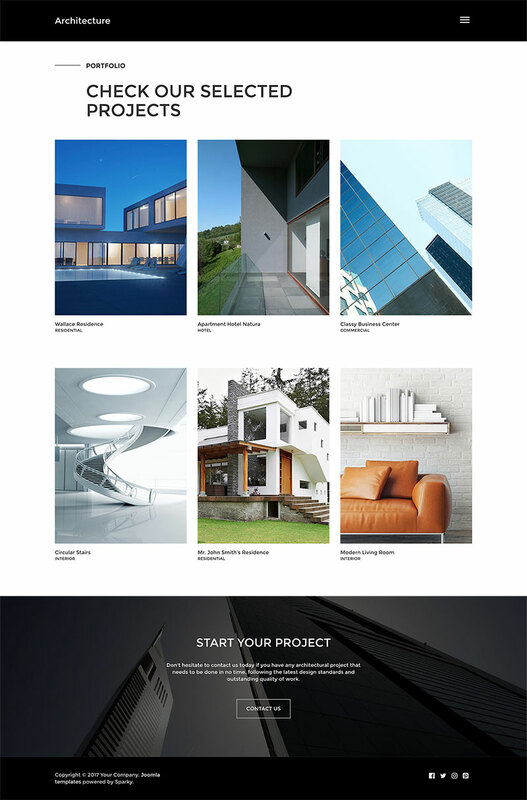 This awesome design is also available as Architecture WordPress theme. Please check this out. Total control of all menus through the framework. You can set functionalities and style of all your menus and drop them directly into the layout. This template uses Off-canvas menu which allows multiple levels of menu items to be included in the side pane.